Robert Art Abalov was arrested for his role in a jewelry store robbery that transpired on February 28. Photo courtesy of the SMPD. 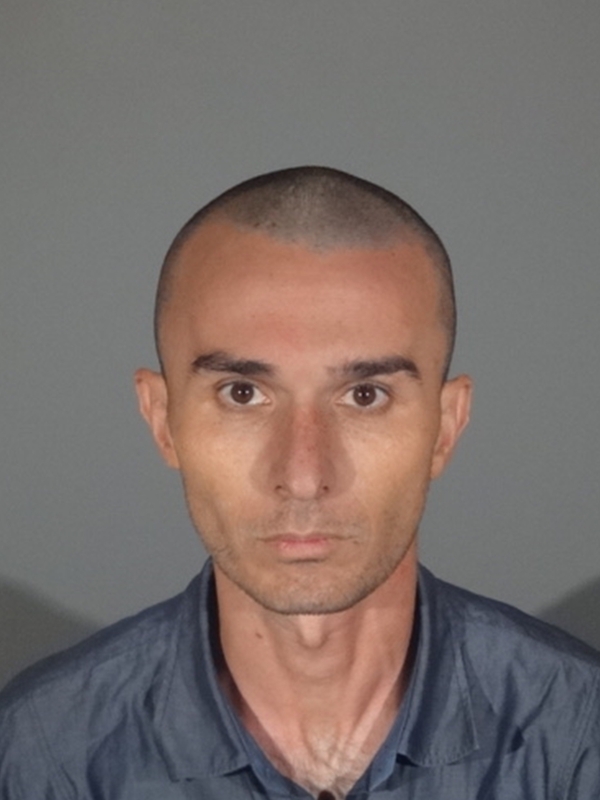 SANTA MONICA—Officers from the Santa Monica Police Department arrested Robert Art Abalov in West Los Angeles on Tuesday, May 29 in connection to his role in a jewelry store robbery. On February 28 at about 5:36 p.m., the SMPD responded to a radio call for service at 1603 Montana Avenue – ‘Curated Los Angeles’ regarding an armed robbery. Officers determined the suspect entered the store holding a suspicious device and demanded merchandise from a store employee. The suspect fled the store with the suspicious device. He entered a nearby vehicle and fled the area striking several parked cars including an occupied vehicle causing injury to the occupant. He exited the car and fled the area. Canyon News spoke to Lt. Rodriguez via email about the incident. “The device was detonated by LASO Bomb Squad and is being analyzed. The bomb squad will be providing us with their analysis on the device,” said Lt. Rodriguez. There were no reports of any injuries during the incident. Abalov has been charged with 664/211 PC – Attempt Robbery; 422(a) PC – Criminal Threats; 148.1(d) PC – Malicious Possession of a False Bomb with the Intent to Cause Fear; 236 PC – False Imprisonment; 20001(b)(1) CVC – Hit & Run Injury Collision; and 487(d)(1) – Grand Theft. Abalov remains in custody with the Los Angeles County Sheriff’s Office on a $170,000 bail pending future court proceedings. Anyone with information related to this investigation is asked to contact Detective Cooper (310) 458-8478; or the Santa Monica Police Department at (310) 458-8491. Previous articleFrom Actors To Singers! Next article“Queen Sugar” Back For Season 3!